Whether you’re a startup looking for an initial investment or you have an established company looking to expand, buy real estate or equipment, or perhaps even purchase another business, there are several basic concepts you need to understand in order to secure the cash you desire. What exactly is capital? Capital is money. It’s the lifeblood of your enterprise. Without capital, you have no fuel to produce goods and services. 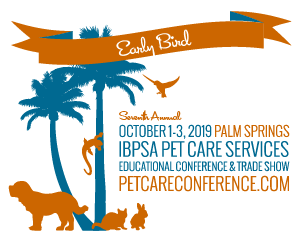 You need capital available for inventory, payroll, equipment, rent, permits, renovations, maintenance, phone bills, supplies, marketing, franchise fees, growth, utilities, to buy a building or property, to buy another business, to attend a pet care conference. Your business needs capital to survive. There are three ways to get capital: from business operations (cash flow), from investors (equity), or from a lender (debt). Most successful enterprises use a combination of all three at different times in the life cycle of their business. The following will focus on equity and debt. While both are forms of capital, they have very different characteristics and implications for your business. For any small business, capital is scarce and expensive. Your responsibility is to take that capital and transform it into a return of higher value than it had when you started. If you do this effectively, you will provide a service to your customers, make money for yourself, and provide a return to your investors and your lender. You are expected to come up with the highest and best use for the money you’re entrusted with. That’s what investors and lenders are looking for when they put their money to work. To do so, you need to demonstrate a clear understanding of how you will accomplish this. Debt has to be paid back in a defined period of time, with interest. It’s a loan, not an investment in the business. Payments come out of the operating funds of the business and are paid according to a fixed schedule. While getting a loan will typically require a personal guaranty, a form of collateral, or some injection of cash or cash equivalents from the borrower, it doesn’t involve giving up ownership or profits from the business. Once the loan is paid back, any obligation to the lender ends. Equity is a more patient, long-term, open-ended investment of capital in the business that is returned in the form of future profits. The business owner doesn’t have to pay it back if the business fails. But the equity investor takes ownership and upside in the business. The obligation to the investor continues as long as the investor owns a portion of the business. Simply put, equity investors and debt providers are looking for very different outcomes. Each is motivated by different drivers. Equity investors have unlimited upside in proportion to their ownership, which makes them comfortable taking higher risk in exchange for the promise of higher future returns. They have tremendous flexibility in how an investment is structured, so the investment can be tailored in many different ways. Equity investors often take an active role in the company’s management and direction and can provide strategic support. Of course, that active role can lead to friction if things aren’t going so well. Why is it important to understand this difference in expectation and mindset? Because one of the most consistent mistakes business people make is to confuse which type of capital they should look for. And, usually, the mistake is to look for a loan when what is really called for is an equity investment. If your business is new, with no track record or demonstrable revenues and profitability, you should not expect a risk-adverse lender to give you startup money. Why would a bank take the high risk of investing in a startup enterprise, when the best they can expect is to get their money back and a modest return? Generally speaking, equity capital is more of a fit for startup, early-stage, or higher risk ventures and projects. That initial equity might come from your own savings, or it might come from friends and family. But until you have some way to mitigate the very high risk associated with starting a new business, it will be challenging to get a bank loan. Bank debt (traditional lending) is for a more established company and tied to a defined use. Startup projects can and do obtain bank financing, but in those cases there is typically a strong personal guaranty or collateral associated with the loan, and the borrower usually has experience in the industry. The more money you need, and the less history your venture has, the more scrutiny you will be under to prove you can pay it back. If you keep approaching banks for capital that is more suited to an equity investment, you will spin your wheels and waste time. And, if you do find a lender willing to take a risk on your early stage business, the cost of that loan is likely to be very high, not to mention saddling your new business with regular interest payments that may strain cash flow in the early days of your new venture. It’s better to find a patient investor and give up some of your ownership if it gives you the time to get up and running. Remember, just because you can get a loan doesn’t mean you should. Both equity and debt have their place, and one is not better than the other. You need to understand where you are on the risk scale and be realistic about which option is best suited to your situation. When you know your audience, you can appropriately tailor your presentation and set your own expectations about when and what type of capital to apply for. Enough with the theory. Time to get practical. 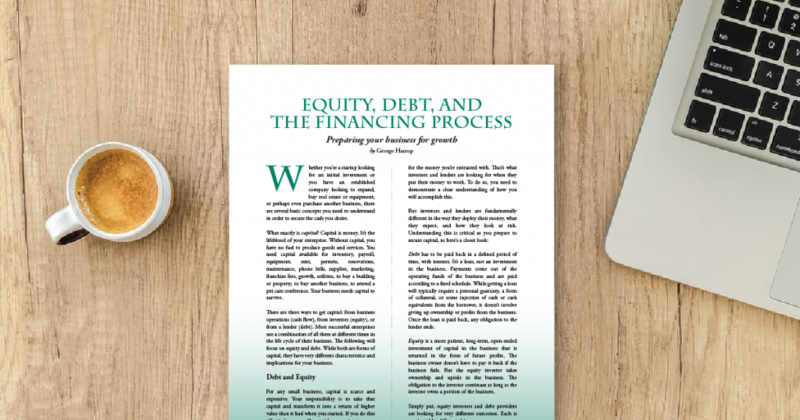 A critical first step in obtaining capital, either equity or debt, is to create a business plan that outlines what you intend to do. A plan is of value for both starting a new venture and when taking on a project or an acquisition or expansion for your current business. The plan doesn’t have to be fancy and filled with color charts and graphs. It just needs to validate your assumptions and outline how your business idea is going to work. Too many business plans made with software programs look beautiful but don’t have much substance. Your business plan should answer basic questions about your intentions. Think of it something like planning a journey to a new destination. Where do you want to go, how do you plan to get there, how much will it cost, and how long will it take? Why do you want to go there? How is your product/service/idea of value, and why are you the right person to lead it? If you are expanding an existing business, how would the new equipment, marketing initiative, employees, benefit the business? What are the risks and dangers to your journey, and how will you mitigate them? What do you need to make it successful? Who else is doing it now? How are you different? What’s in it for your investors/lenders/partners? Why should they care? Clearly articulate why you want the money, what you are going to do with it, and how you will pay it back. If the plan shows you can’t pay back the money, then you shouldn’t do the business/expansion/product. It’s better to find out now than later. Make it easy for the bank or investor to say yes. 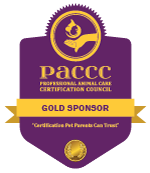 Expanding your pet boarding facility? Show your customer wait list, demonstrate how you are over capacity in your current location, and demonstrate increasing trends over the past 12 months. Opening a second facility? Give demographic data on competitors and the opportunity in the new neighborhood. Need new equipment? Show how it will produce more widgets at less cost. Do you have seasonality? Show how you deal with it. Put together a cash flow projection showing how the loan will benefit the business and how you will pay back the loan. Banks don’t really care about how much you love dogs, why you got into the business, or how many happy puppies you serve. They care about how you plan to pay them back. The specifics of how you should be preparing for a loan now by following basic bookkeeping and administrative tasks are beyond the scope of this article and warrant a deeper dive. But, to start, writing out a business plan is an instructive exercise whether you need capital now or just want to establish a goal of where you intend to take your business venture in the coming year. George Harrop is Managing Director of the Small Business Lending group at CapitalSource where he is focused on meeting the specialized needs of small business borrowers nationwide by providing conventional and SBA loans to clients across a wide variety of industries. Mr. Harrop is an experienced entrepreneur with a background in finance and real estate. Over the course of his career, he has been involved in the founding and advising of numerous business ventures in retail, commercial real estate, and franchising.